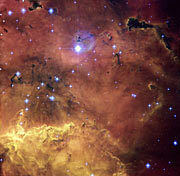 A colourful star-forming region is featured in this stunning new NASA/ESA Hubble Space Telescope image of NGC 2467. Looking like a roiling cauldron of some exotic cosmic brew, huge clouds of gas and dust are sprinkled with bright blue hot young stars. Strangely shaped dust clouds, resembling spilled liquids, are silhouetted against a colourful background of glowing gas in this newly released Hubble image. The star-forming region NGC 2467 is a vast cloud of gas – mostly hydrogen – that serves as an incubator for new stars. Some of these youthful stars have emerged from the dense clouds where they were born and now shine brightly, hot and blue in this picture, but many others remain hidden. 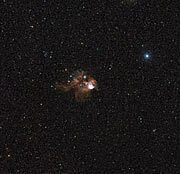 NGC 2467 was discovered in the nineteenth century and lies in the southern constellation of Puppis, which represents the poop deck of Jason's fabled ship Argo from Greek mythology. NGC 2467 is thought to lie about 13 000 light-years from Earth. 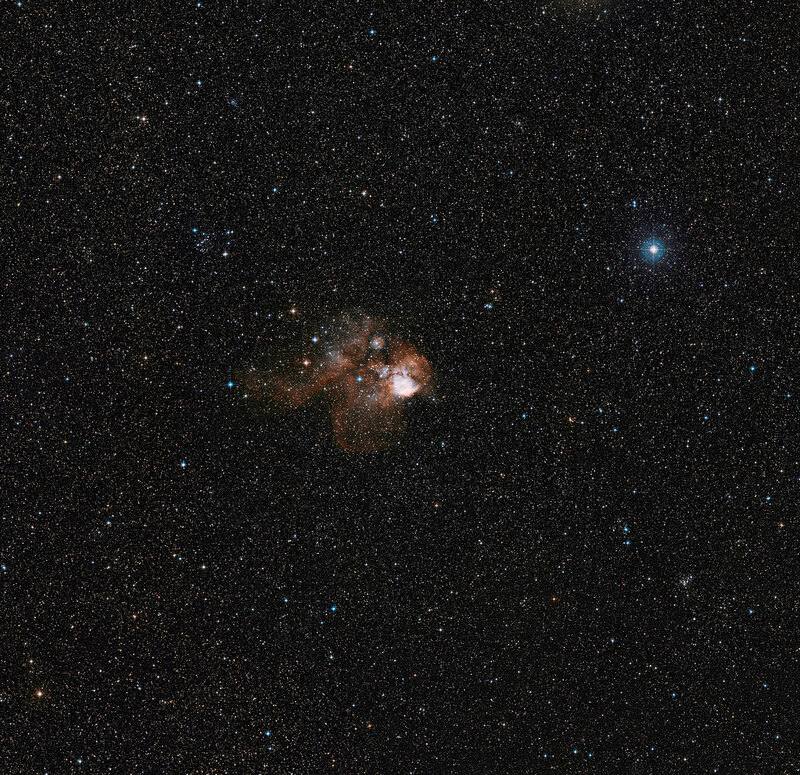 The picture was created from images taken with the Wide Field Channel of the Advanced Camera for Surveys through three different filters (F550M, F660N and F658N, shown in blue, green and red respectively). These data were taken in 2004.